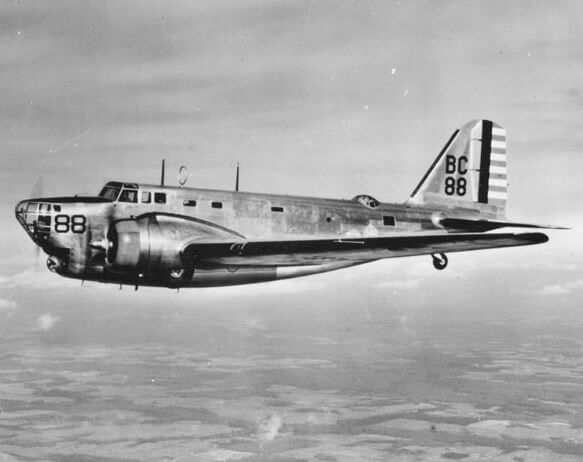 The B-18 was based on the DC-2 and produced to a USAAF requirement to replace the Martin B-10. The B-18 was competing with the Boeing B-17 which was clearly superior, but after the prototype B-17 crashed the B-18 was ordered into production. Entering service in 1936, around 350 were built, but by 1940 it was effectively obsolete, being underpowered, with a poor defensive armament and a small bomb load. Survivors were relegated to training, transport and anti-submarine duties. 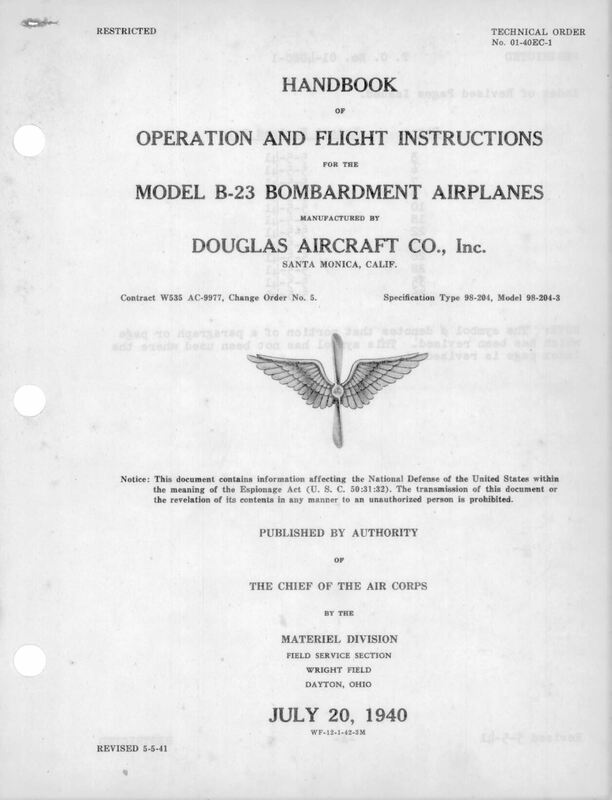 Douglas proposed a number of modifications to improve the performance of the B-18, initially with a new model designated the XB-22. 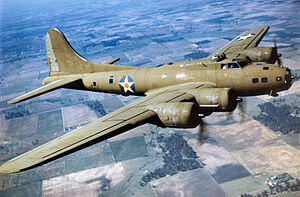 This was promising enough for the USAAF to convert the contract for the last B-18’s to the new model now designated B-23. 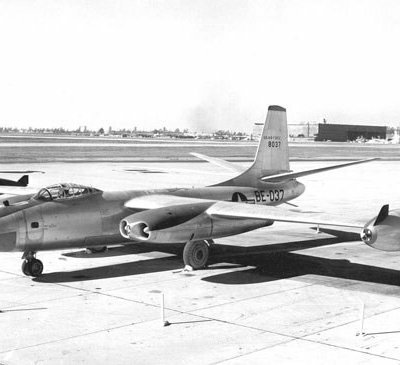 In spite of being significantly faster and better armed than the B-18, the B-23 did not compare favorably to newer designs such as the North American B-25 or Martin B-26, and only 38 were built. 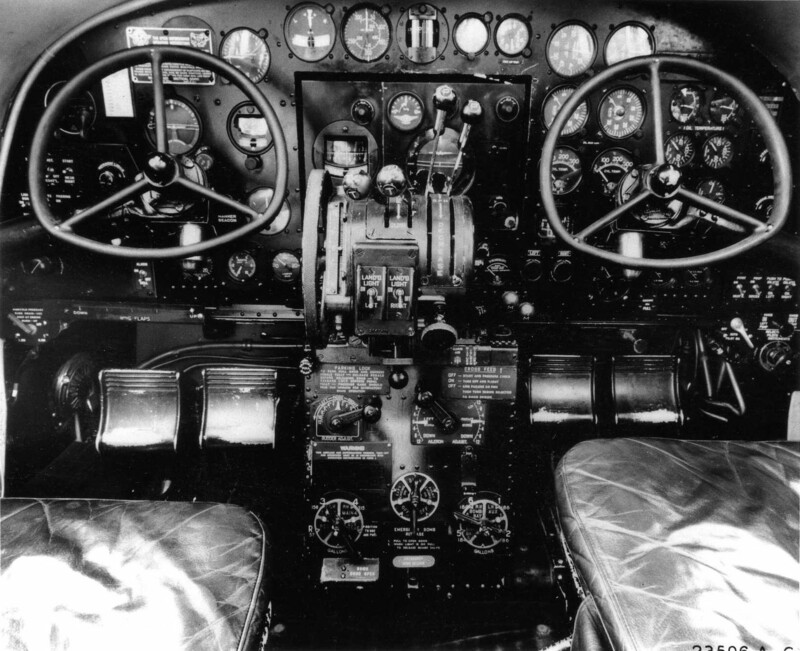 None served in a combat role, but after the war they were popular for conversion as a high-speed executive aircraft. 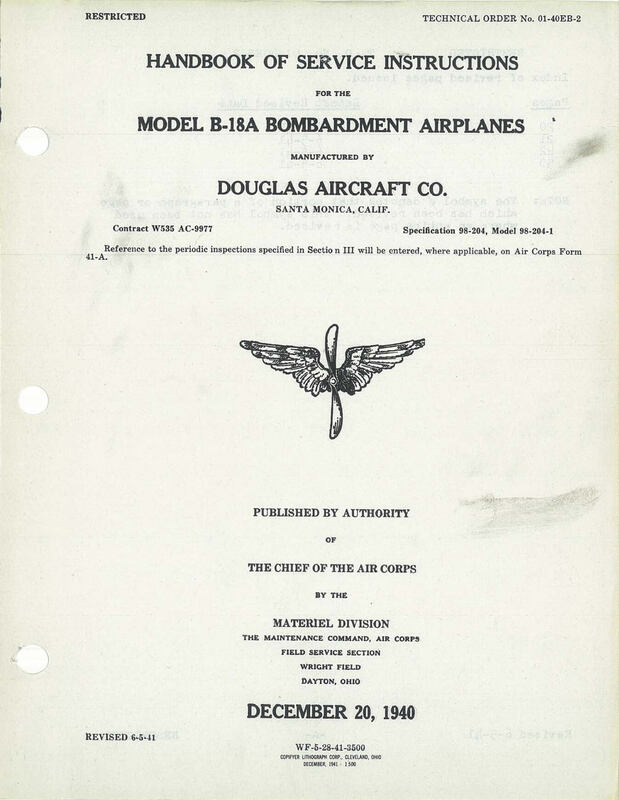 To maximise value, this title contains the USAAF pilot flight manuals for the B-18A and the B-23, and the complete USAAF Erection and Maintenance Manual for the B-18A. The files have been scanned from the original flight manuals and retain any colour pages. 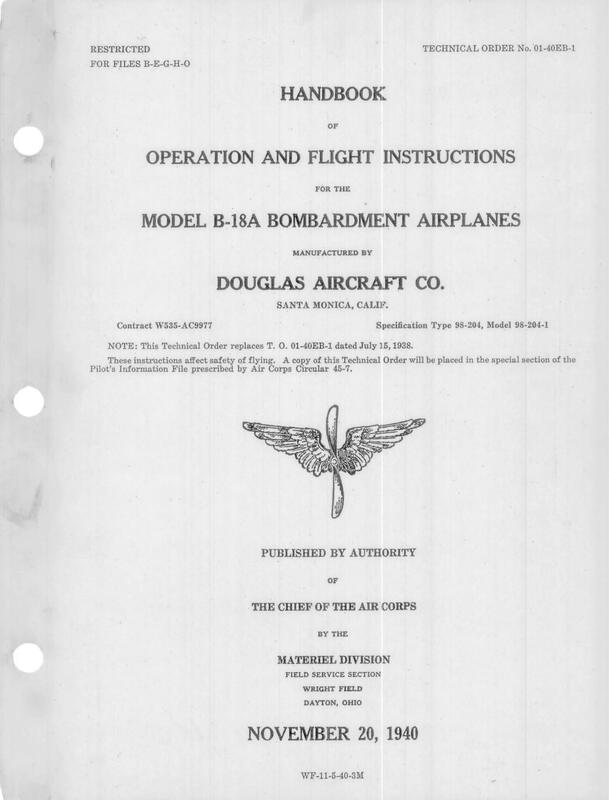 USAAF Handbook of Operation & Flight Instructions for the B-18A, Technical Order 01-40EB-1 dated 20-11-40, approx 41 pages. USAAF Handbook of Service Instructions for the B-18A, Technical Order 01-40EB-2 dated 20-12-40, revised to 5-6-41, approx 333 pages. USAAF Handbook of Operation & Flight Instructions for the B-23, Technical Order 01-40EC-1 dated 20-7-40, revised to 5-4-41, approx 41 pages.